*Arrive before 11 PM to guarantee entry. 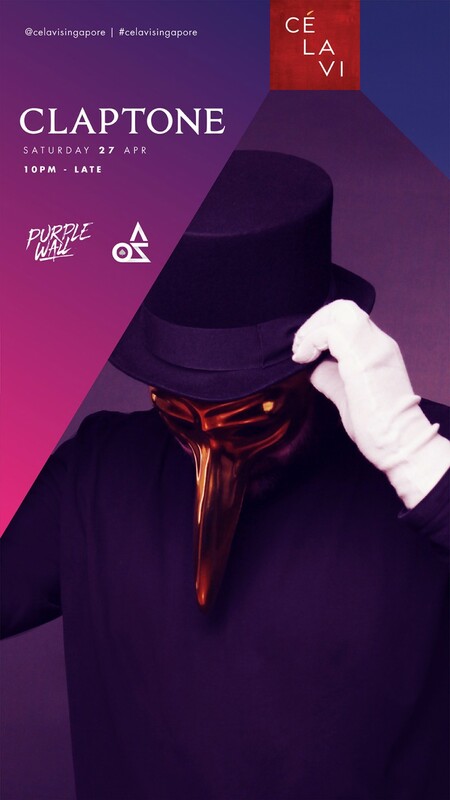 Recognised for his signature golden bird mask, the anonymous producer rose to prominence in 2012 with his infectious track C.R.E.A.M. The Berliner who bridges the worlds of Deep House and Indie Dance, became highly prolific as a remixer, collaborating with House producers George Morel and Riva Starr as well as pop groups such as the Pet Shop Boys. Over the past year, Claptone has headlined festivals across the planet such as Tomorrowland, Defected Croatia and Amnesia Ibiza. Club rules and dress code apply. Only guests 21 years old and above are allowed to enter the Club Lounge after 10 PM.